Hi friends! 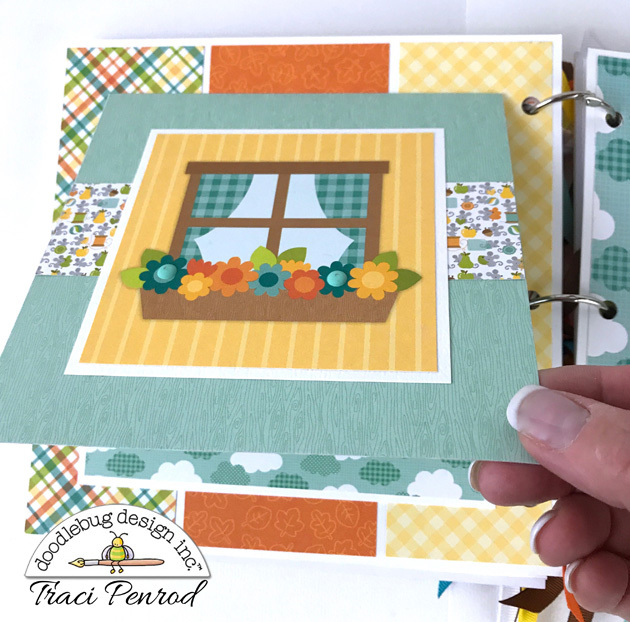 Today I'm sharing an 8x8 mini called "A Season of Gratitude". 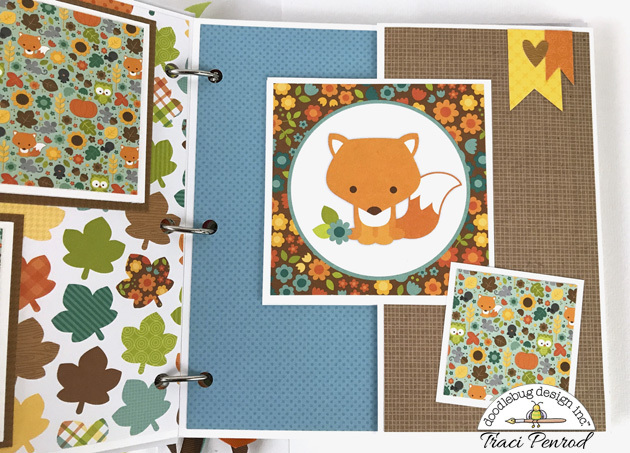 I used two Doodlebug fall-themed paper collections for this album, Fall Friends and Flea Market. 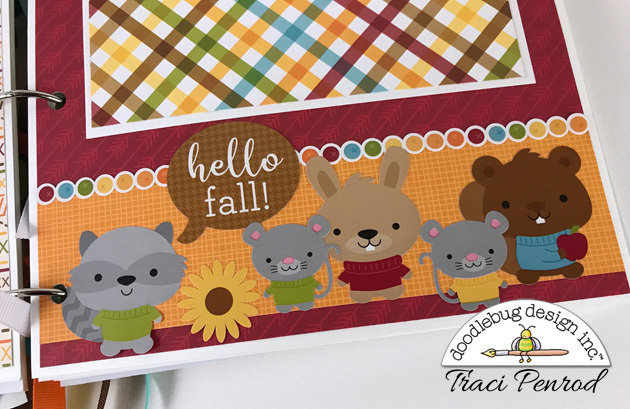 The little critters from the Fall Friends collection are SO cute! Look at their little sweaters! 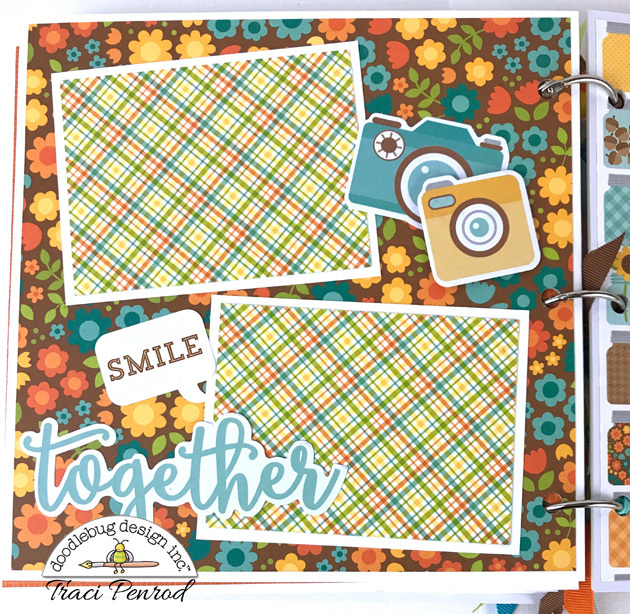 The jar paper is one of my favorite sheets in Flea Market! 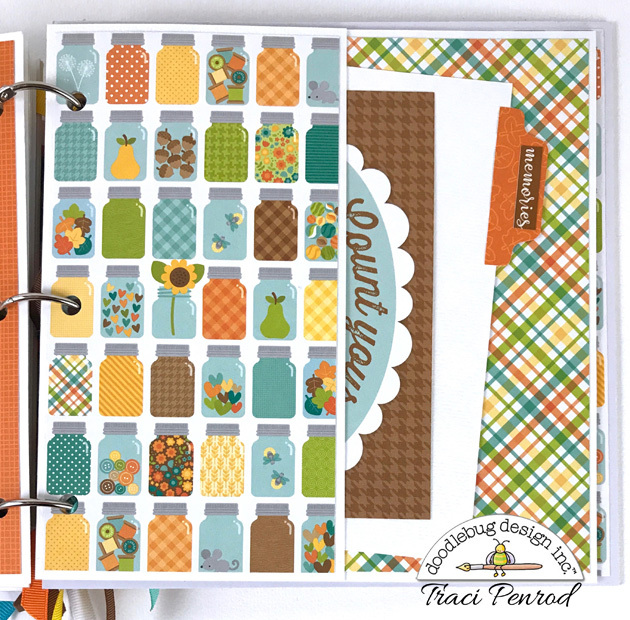 and I couldn't create my albums without Odds & Ends and Doodlepops. 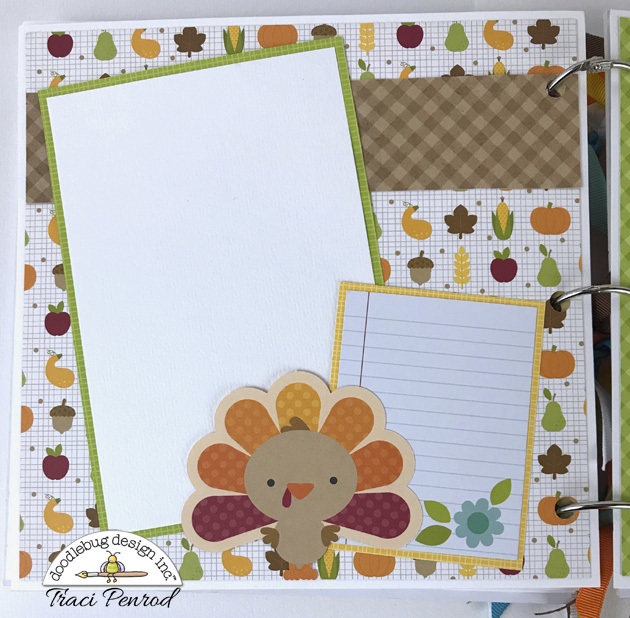 Now I just need to get my family together for a fun fall photo shoot so I have pictures to put in my album! That will be the toughest part of this project :) Thanks for letting me share my album with you today! Until next time ... happy crafting! That is such a cute little mini album. I love how you worked so hard to even make the tiniest detail perfect. Going to try and make this for my two little daughters as they love this kind of stuff.